El Calafate is the delectable city of Argentina. With a population of 22,000 people, it is an ancient village, which beckons to be discovered! El Calafate is the base for seeing Glaciar Perito Moreno and other renowned worldly sights. This incredible city offers amazing attractions, including Glaciarum, Reserva Natural Laguna Nimez and Centro de Interpretacíon Historico. Cheap flights to El Calafate are now available for a limited period of time, so prepare to be enthralled by this fascinating city! El Calafate is home of Comandante Armando Tola International Airport (FTE), which is located a short 20-minute drive from the city centre. Comandante Armando Tola International Airport serves a multitude of airlines – including LATAM Airlines. Popular destination flights depart from Cape Town and Johannesburg. Flight duration from Johannesburg to El Calafate is approximately 1 day and 2 hours. 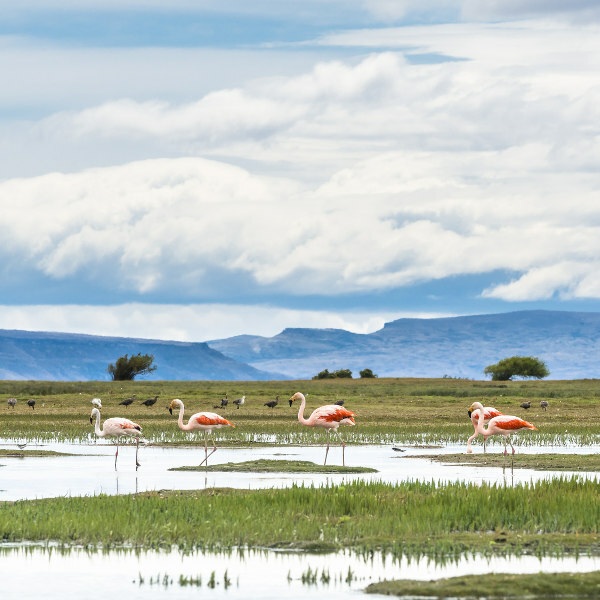 Laguna Nimez Reserve is an ecological environment, which is home to beautiful flamingos, grebes, chimangoes and more exquisite species. Take a blissful stroll through this educational natural reserve. The most famous glacier in the world, Perito Moreno takes your breath away. While most glaciers are receding, Perito Moreno is advancing! 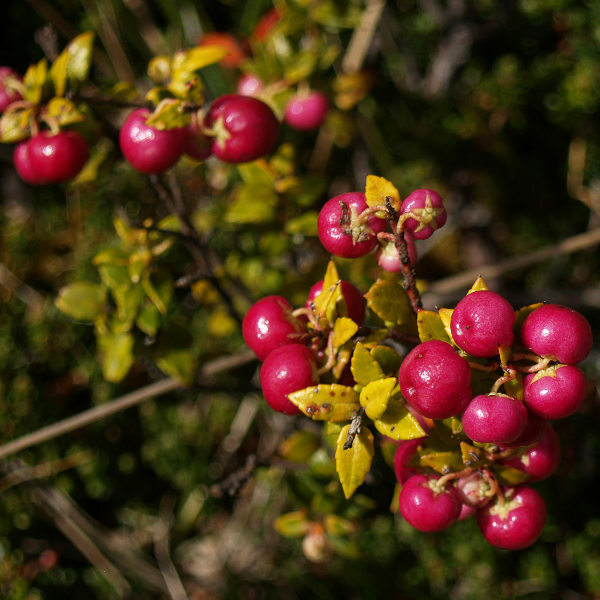 The city takes its name from the berry called Calafate or Barberry in English. This delicacy can be found in abundance during the summertime. Calafate ice-cream bursts with fruity flavours! The summer months (January and February) are the peak season in El Calafate. The month of March sees the ending of summer but it is a sensational time to go trekking. For amazing sites of the glaciers, the best time to go is from late November to the end of March. During these summer months, the weather is satisfyingly mild. Autumn (late March to April) and spring (October to November) are considered the shoulder seasons with relatively less wind and cooler temperatures. The weather can feel exceptionally colder in El Calafate during this time. It is in your best interest to avoid going between June and August, the winter months, as many of the main attractions are inaccessible during this time. However, the landscape illuminates, providing a joyous background for your small town escape! 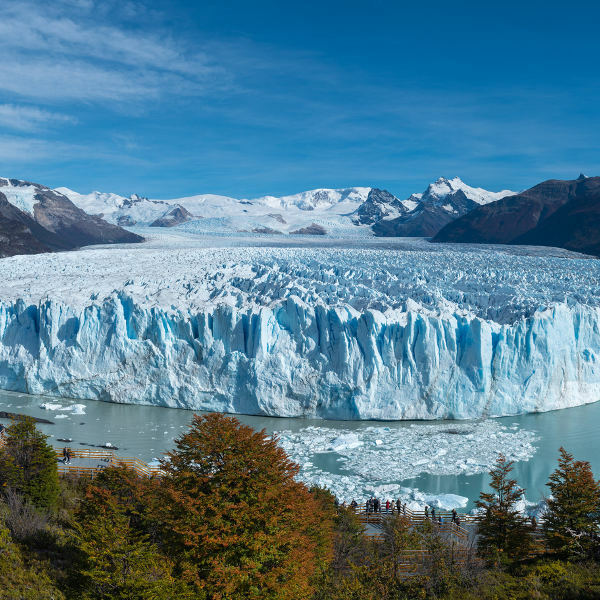 El Calafate is named after the berry that, “once eaten, you will always return to Patagonia.” It is the base for visiting the grandiose Perito Moreno Glacier. This sensational national capital of the glaciers is nestled on the southern shore of Lago Argentino, Santa Cruz. Visitors are treated to heart-warming hospitality in this quaint resort town. Its main street Avenida del Libertador is lined with incredible tourist shops and beautiful trees. Once in El Calafate, you can plan your itinerary for catching a glimpse of Perito Moreno. From boat tours to guided ice trekking, the chance of a glacial escape is vast. Compare several airlines, and book cheap flights to El Calafate online with Travelstart! South African passport holders do not require a visa to travel to El Calafate and Argentina for a stay up to 90 days. • You should have at least 2 blank pages for stamps. There are no special vaccinations required for entry into El Calafate and Argentina. Travellers should be up-to-date on routine vaccinations before leaving for El Calafate. These vaccines include measles-mumps-rubella (MMR) vaccine, diphtheria-tetanus-pertussis vaccine, varicella (chickenpox) vaccine and polio vaccine. El Calafate is extremely safe; it is the one of the safest places in South America. Being a small town, this destination is free from big city problems such as petty thefts and mugging incidents. As a safety precaution keep an eye on your valuables, avoid walking alone at night and do not carry large sums of cash. Tourists are advised to let someone know when they are heading out to Los Glaciares National Park.